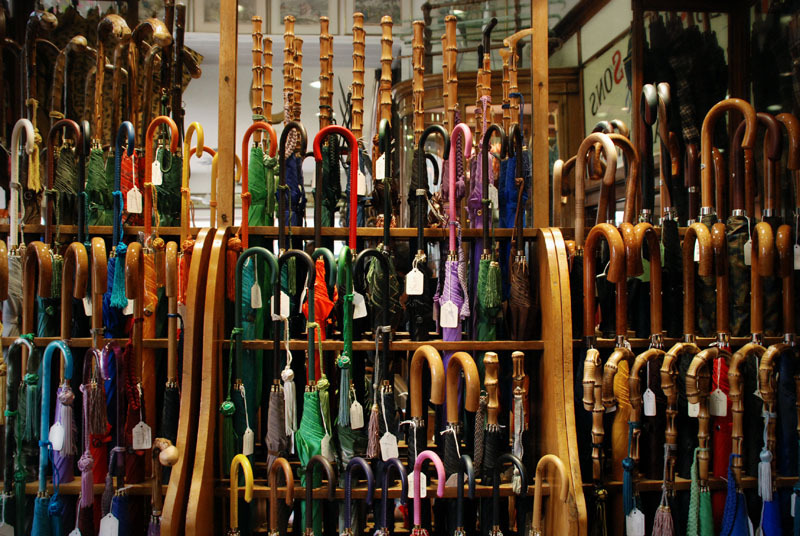 The world famous James Smith & Sons have been selling umbrellas in London since 1830. According to the website, the unique Victorian front of the store has been unaltered for 140 years. Only you could take umbrellas and make them funky chic!!! Almost makes me wish for rain! That was the neatest store--wish I could have afforded one. Thanks, I love the picture!